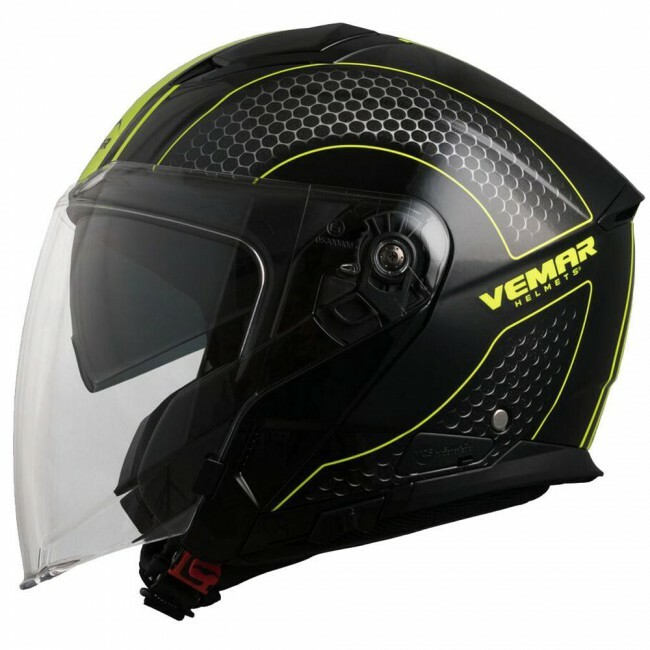 The top among Vemar’s city helmet range. with a tall, panoramic visor, drop-down sun visor covering completely the field of view, chin strap with microlock closing buckle and Vemar Klima System (VKS), an efficient system for exhausting hot air from inside of the helmet. This helmet provides a higher protection surface and a more precise fitting than the other common open-face shells.